Facing the urgent health crisis, what shall we do? Hyperpiesia, Hyperglycemia, Adiposity, Diabetes, Heart Disease, Arthritis, and kinds of cancer etc. More and more people are bothered by these chronic problems. What shall we do?? Taking medicine? More medicine you have taken, the dependence of medicine will be stronger, and then what else can we do? Isn’t there any other solutions?? There are two indisputable facts. So far, the medical knowledge of the human cure chronic diseases does not have the slightest progress. Through regimen to make many people get recovery from chronic disease has become an indisputable fact. GOLDEN TEA supplies human bodies with biological elements. The GOLDEN TEA made of natural fresh tea leaves and rare herbs which perennially live in the virgin forest on the high mountains. We blended them in scientific and reasonable ratio, and make into different kinds of tea products on the premise of maintaining the available nutrients in raw materials. Natural and organic, made of wild-growth herbs and tea, virgin and original, full of microelement and rare substance, convenient to drink, and it has unique efficacy. GOLDEN TEA, your good helper for health. Hypertension Regulating Healthy Tea, Blood Sugar lowering Healthy Tea, Blood Lipid Regulating Healthy Tea, Anti-constipation Healthy Tea, Sijunzi Healthy Tea, Cooling Body Heat Healthy Tea, Stomachic & Liver Protection Healthy Tea, Whitening Healthy Tea, Slimming Healthy Tea, Skin Beautifying Healthy Tea, Anti-acne healthy tea , Monthly Cramps Soother Healthy Tea, and Anti-insomnia healthy tea. Blood Sugar lowering Healthy Tea White tea, kugualu, guaizao, papaya, sweet tea, yumeiren. kugualu, guaizao, papaya, sweet tea. Middle-aged and old people, people of high blood sugar. Blood Lipid Regulating Healthy Tea Green tea, maoyaimei, jiaogulan, kugualu, sanqi flower, ginkgo, hawthorn, honeysuckle, camellia, xiangju jiaogulan, wild growth tea, green tea. Middle-aged and old people, the man of high blood lipid. Anti-constipation Healthy Tea Green tea, black tea, maoyaimei, kugualu, xiangju, guaizao, camellia, wild growth tea. maoyanmei, kugualu, xiangju, wild growth tea, guaizao. the man of metabolic disorder，cool the body heat, anti-constipation, improve the function of digestion. Sijunzi health tea Dangshen, fuling, gancao, baishu, wild growth tea. Gegen tae, dangshen, baishu, Middle-aged and old people, young people, white-collar workers, office workers. supplement the microelement, improve the physiological function of the human body, protect the spleen and the stomach, smooth the bowel. Cooling Body Heat Healthy Tea Kugualu, green tea, xiangju, honeysuckle, danzhuye kugualu, green tea, xiangju. person of irritable mood and body heat. cool the body heat, detoxication. Stomachic & Liver Protection Healthy Tea Yuzhushen, gouqi, maoyaimei, kugualu, sanqi flower, sweet tea, hawthorn, camellia, yumeiren. maoyaimei, yuzhushen, gouqi. for the man who always drink wine, or anyone have stomach and liver problem. protect liver and stomach, detoxication, dispel alcohol. Whitening Healthy Tea Papaya, wild growth tea, camellia, yuzhushen, lemon, gancao. maoyanmei, yuzhushen, lemon. skin dotes, dry, sunburn, and who stays up all night. restrain black pigment, whiten the skin. Slimming Healthy Tea Green tea, black tea, kugualu, heye, maoyanmei, camellia, yuzhushen, papaya, wild growth lingzhi. 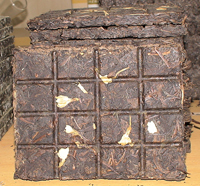 maoyanmei, wild growth tea, kugualu. fat man. lose weight. Skin Beautifying Healthy Tea Maoyanmei, yuzhushen, wild camellia, lemon grass, papaya, yumeiren. yuzhusen, papaya, yumeiren people with dry skin, oil-skin, wrinkles, stains, acne. supplement vitamin, improve immunization, thin the wrinkle and the stain, and clean up the acne. Anti-acne healthy tea Papaya, yumeiren, kugualu, yimucao, camellia, xiangju. 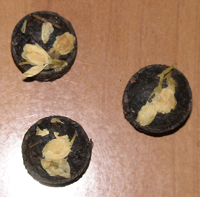 kugualu, yimucao, camellia, xiangju. people with black skin, yellow, multi-spot, smallpox, acne. whiten, clear up spot and smallpox. Monthly Cramps Smoother Healthy Tea maoyanmei, shenjincao, kugualu, yimucao, camellia, xiangju, nvzhenzi, pearl grass. yimucao, nvzhenzi, pearl grass. Irregular menstruation, endocrine disorders, sweating, dizziness, pressure, etc. regular the menstruation, protect the liver and kidney. Anti-insomnia healthy tea wuweizi, yuzhushen, maoyanmei, suanzaoren, mihoutao. weiwuzi, yuzhushen, maoyanmei, mihoutao. The man of insomnia. hypnotize, cure nervousness. Detoxification health tea Mint, wild daisy, bamboo leaves, etc. detoxification, remove anger, pharynx laxative. Apply to be filled due to toxic heat, sore throat, dry mouth and tongue pain, constipation, short yellow urine, red tongue. Yu Ping Feng health tea Astragalus, Atractylodes, parsnip, etc. Applies to sweating and other symptoms for physically weak. Anti-inflammatory & liver protection health tea Chinese brake herb, Gynostemma, honeysuckle, etc. anti-inflammatory & protect liver, have a good effect for viral hepatitis . Codonopsis, Atractylodes, green tea, etc. protect spleen and stomach. For long-term stays up late, eliminate fatigue, enhance physical effect. Mulberry, wild daisy , honeysuckle, etc. remove heat, Protect eyesight. Have a effect for swelling eyes caused by the excessive heat of liver, or headache, mouth or throat sewlling, urine-yellow. Epimedium, wolfberry . blacktea, etc. nourishing liver and kidney, Have a effect for impotence . strengthening body vitality. Mulberry anti-aging, enhance body endurance, lower serum cholesterol and regulation of adrenal function; wolfberry have kidney essence, nourishing and improve eyesight. The two are combined to play the role of longevity. Clear & moisten lung Health Tea Citrus, loquat leaf, honeysuckle, lily, etc. Remove body heat, protect eyesight, detoxication, expectorant cough,smootn the bowel. prunella, wolfberry , cassia seed, etc. Dodder, flatstem milkvetch seed, eclipta, etc. supplyment of liver or kidney, and blood. Multiply and keep hair healthy,. For people with waist and knee weakness, minimalist looking, dry skin. Gentian, herba lysimachiae, flower of kudzu, imperatae, etc. clear heat ,diuretic, regulate liver and gallbladder , sober up. Motherwort, herba lycopi, Gynostemma, etc. adjust blood circulation, detumescene. regular menstruation,.For dysmenorrhea, or injury pain, dark red tongue with ecchymosis or petechiae.